The Original Magnet Frame ® was designed by Nicolai Canetti over 25 years ago. 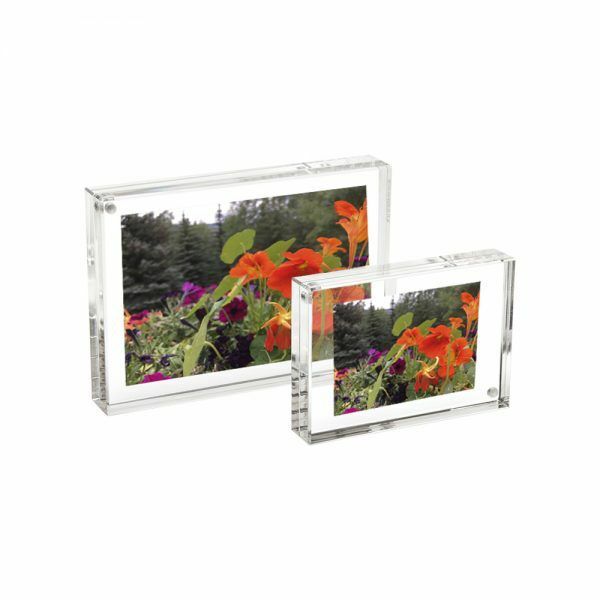 Made of two thick panels of crystal clear, solid acrylic held together by tiny magnet points, the picture is easily placed between the two panels and held securely without any hardware. 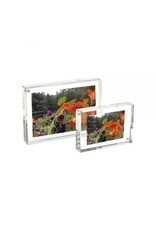 Display 2 photos back to back.